CHICAGO—This fall, the School of the Art Institute of Chicago (SAIC), a global leader in art and design education, will host a distinguished lineup of visiting artists who exemplify the boundary-blurring nature of contemporary art. Beginning in September, SAIC’s Visiting Artists Program lecture series will feature a diverse group of artists including: contemporary painter Laura Owens, whose survey at the Whitney Museum of American Art will open this fall; SAIC alum and filmmaker Apichatpong Weerasethakul; Do Ho Suh, who is best known for his fabric sculptures that reconstruct the scale of his former homes; and fashion designer Gareth Pugh. The fall season kicks off on September 12. 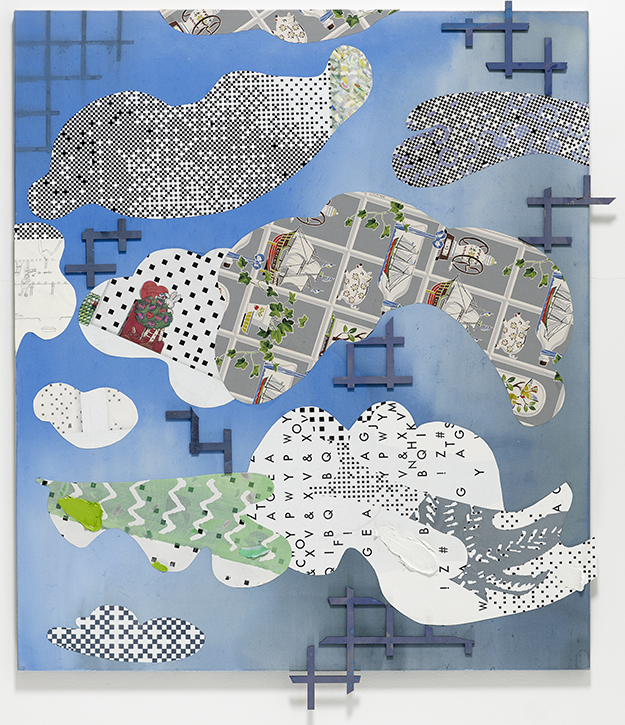 Laura Owens, SAIC’s 2017–18 Bill and Stephanie Sick Distinguished Visiting Professor, is internationally renowned for her innovative approaches to painting. She utilizes and combines techniques such as silk screening, intuitive painterly gestures, bright color fields, photorealism and the integration of appropriated imagery into any given project. Owens’ forthcoming survey at the Whitney Museum of American Art, New York, will open in November. Her work has been presented in exhibitions at the CCA Wattis Institute for Contemporary Arts, San Francisco (2016); Secession, Vienna (2015); Museum of Modern Art, New York (2014) and Museum of Contemporary Art, Los Angeles (2003), among other venues. As part of her visiting professorship, Owens will co-teach a course in SAIC’s Painting and Drawing department in the spring of 2018 with Associate Professors Scott and Tyson Reeder. Apichatpong Weerasethakul (MFA 1998, HON 2011) is an award-winning filmmaker and is recognized as one of the most original voices in contemporary cinema. Lyrical and often fascinatingly mysterious, his nonlinear films deal with memory and in subtle ways invoke personal politics and complex social issues. Working independently of Thailand’s commercial film industry, he devotes himself to promoting experimental and independent filmmaking. Weerasethakul’s six feature films, short films and installations have gained widespread international recognition and numerous awards, including the Cannes Palme d’Or in 2010 for Uncle Boonmee Who Can Recall His Past Lives. His Tropical Malady won the Cannes Competition Jury Prize in 2004 and Blissfully Yours won the Cannes Un Certain Regard Award in 2002. His survey exhibition Apichatpong Weerasethakul: The Serenity of Madness curated by Gridthiya Gaweewong (MA 1996) will be on view in SAIC’s Sullivan Galleries September 16–December 8. Do Ho Suh works across various media, creating drawings, film and sculptural works that confront questions of home, physical space, displacement, memory, individuality and collectivity. Suh is best known for his fabric sculptures that reconstruct to scale his former homes in Korea, Rhode Island, Berlin, London and New York. Suh is interested in the malleability of space in both its physical and metaphorical forms and examines how the body relates to, inhabits and interacts with that space. In 2013 Do Ho Suh was named Wall Street Journal Magazine’s Innovator of the Year in Art. His work is featured in numerous international public and private collections, including the Museum of Modern Art, New York; Whitney Museum of American Art, New York; the Solomon R. Guggenheim Museum, New York; Los Angeles County Museum of Art; Walker Art Center, Minneapolis; Tate Modern, London; Leeum, Samsung Museum of Art, Seoul; Museum of Contemporary Art, Tokyo and Mori Art Museum, Tokyo. Mark Dion’s practice examines the ways in which dominant ideologies and public institutions shape our understanding of history, knowledge, and the natural world. Appropriating archaeology, field ecology and other scientific methods of collecting, ordering, and exhibiting objects, Dion creates works that question the distinctions between objective and rational scientific methods versus subjective and irrational influences. Dion’s spectacular and often fantastical curiosity cabinets, modeled on wunderkammern of the 16th and 17th centuries, exalt atypical orderings of objects and specimens. Recent projects include The Amateur Ornithologist Clubhouse, a Captain Nemo-like interior constructed in a vast gas tank in Essen, Germany, and Den, a large-scale folly in Norway's mountainous landscape featuring a massive sculpture of a sleeping bear in a cave, resting on a hill of material culture from the Neolithic to the present. This October, the Institute of Contemporary Art, Boston, will host Mark Dion: Misadventures of a 21st Century Naturalist, the largest American survey to date of the artist’s work. Sarah Schulman is a novelist, nonfiction writer, playwright, screenwriter, journalist and AIDS historian. She is the author of 18 books, most recently the novel The Cosmopolitans (The Feminist Press at CUNY, 2016), which Publisher's Weekly called one of the “20 best American novels of 2016.” Schulman is co-founder of MIX: NYC Queer Experimental Film Festival. Schulman was a longstanding member of the advocacy group ACT UP, and more recently co-founded the ACT UP Oral History Project along with co-producing the film United in Anger: A History of ACT UP. She is on the advisory board of Claudia Rankine’s Racial Imaginary Institute, as well as the Jewish Voice for Peace. Schulman is currently a Distinguished Professor at the College of Staten Island. Schulman has received numerous honors including a Guggenheim Fellowship in Playwriting, a Fulbright in Judaic Studies, and the Kessler Prize for Sustained Contribution to LGBT Studies. Gareth Pugh is a globally-recognized fashion designer, known for his approach to redefining modern luxury. Pugh creates “wearable sculptures” with experimental forms, volumes and fabrics as his signature aesthetic. Pugh has worked with some of the most popular artists of our time—including Beyoncé, Lady Gaga and Rihanna—and with major global cultural institutions, most recently exhibiting at the Costume Institute’s summer exhibition Manus x Machina at the Metropolitan Museum of Art in New York. Widely considered a leading proponent of fashion film and new technology, Pugh frequently collaborates with creative forces from opera, film, theater, and dance. In honor of SAIC’s Fashion Resource Center’s 30th anniversary, Pugh will discuss his practice with Gillion Carrara, founding Director and Adjunct Professor in the Departments of Fashion Design and Art History, Theory, and Criticism, and Caroline Bellios, Assistant Director of the Fashion Resource Center and Adjunct Associate Professor in Fashion Design. Stefan Sagmeister is an avant-garde leader in the design field, executing projects for clients as diverse as the Rolling Stones, HBO and the Solomon R. Guggenheim Museum. Sagmeister explores the vast and illusive subjects of our lives like happiness or beauty, how they connect to design and what that actually means to our everyday lives. Exhibitions of Sagmeister’s works have been mounted in major international museums. His exhibit The Happy Show attracted almost half of a million visitors worldwide and became the most visited graphic design show in history. Sagmeister went on to co-direct the documentary The Happy Film which premiered at the Tribeca Film Festival in 2016. He has spoken five times at official TED conferences, making him one of the three most frequently invited TED speakers. Sagmeister is a two-time Grammy winner, a Fulbright Scholar and has also earned numerous important international design awards. The Visiting Artists Program, founded in 1868, is the oldest public program at SAIC. In addition to bringing some of the leading artistic voices to SAIC, the program plays a critical role in informing the curriculum by arranging studio critiques and roundtable discussions with students, providing them with direct access to world-renowned speakers working across disciplines. All presentations are free and open to the public, begin promptly at 6:00 p.m. and take place in Rubloff Auditorium at The Art Institute of Chicago, 230 S. Columbus Drive. All seating is first come, first served and reservations are not required. For more information, visit saic.edu/vap. Tuesday, September 19, 6:00 p.m.
His survey exhibition Apichatpong Weerasethakul: The Serenity of Madness curated by Gridthiya Gaweewong (MA 1996) will be on view in SAIC’s Sullivan Galleries September 16–December 8. Monday, October 9, 6:00 p.m.
Monday, October 16, 6:00 p.m.
Tuesday, October 24, 6:00 p.m.
Wednesday, November 1, 6:00 p.m. Presented in partnership with SAIC’s Department of Visual Communication Design. Additional support provided by the Architecture & Design Society at the Art Institute of Chicago. For 150 years, the School of the Art Institute of Chicago (SAIC) has been a leader in educating the world’s most influential artists, designers, and scholars. Located in downtown Chicago with a fine arts graduate program consistently ranking among the top programs in the nation by U.S. News and World Report, SAIC provides an interdisciplinary approach to art and design as well as world-class resources, including the Art Institute of Chicago museum, on-campus galleries, and state-of-the-art facilities. SAIC’s undergraduate, graduate, and post-baccalaureate students have the freedom to take risks and create the bold ideas that transform Chicago and the world—as seen through notable alumni and faculty such as Michelle Grabner, David Sedaris, Elizabeth Murray, Richard Hunt, Georgia O’Keeffe, Cynthia Rowley, Nick Cave, Jeff Koons, and LeRoy Neiman.